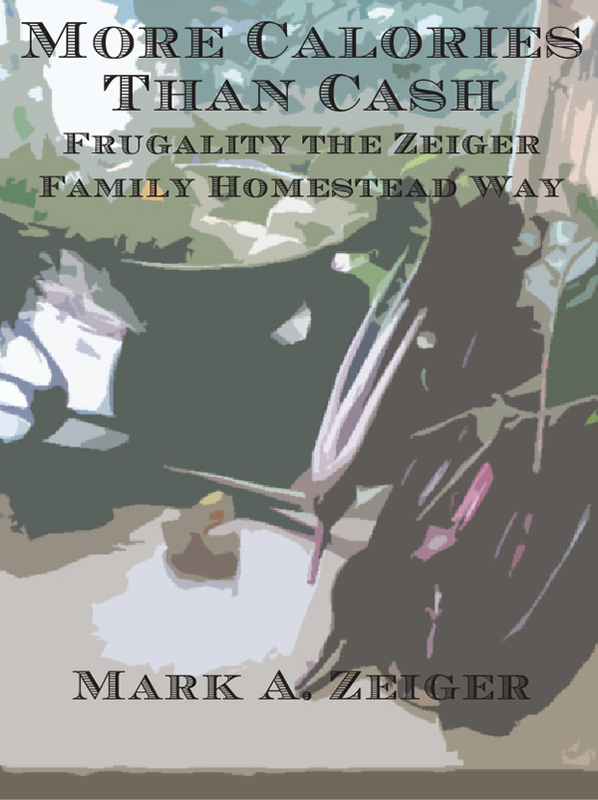 A short electronic collection of essays, mostly from the Zeiger Family Homestead Blog, but also new material, that focus on the family's frugal practices and habits. Available in ebook only ($1.99) in your choice of format, EPUB or Kindle (AZW3), only from this page. Email if you'd rather send a personal check. Please Email if you experience any problems placing your order! HOW CAN I SUPPORT THIS SITE? The information on this site is free to you, but not to us. Our cellular based Internet connection costs a good percentage of our total monthly income. The best way to support us is to become a Patron on our Patreon Page. That way, you get stuff for your contribution! Those who wish to donate directly may use the link below. Proceeds support the web site and help keep the homestead afloat. If you like the web site, Mark can build one for you or your company. Find out more under the "Web Page Design" tab at Yeldagalga.com. Also, we earn revenue through purchases from our Store, ad links on each page, and Amazon.com pays us a commission on purchases from their site if you enter through our links on the Book List Page or on the blog. This applies whether or not you purchase one of our selected titles. How to advertise on this site.